Revered Swedish producer Sebastian Mullaert, releases his first exclusive vinyl on Default Position after the huge success of his remix to “Vedanta” in 2014. Sebastian first made his name as one half of the acclaimed duos Minilogue and Son Kite, but in recent times focuses on his solo career, which sees him appearing at clubs and festivals all over the world and releasing on some of the industry’s most respected labels and imprints. 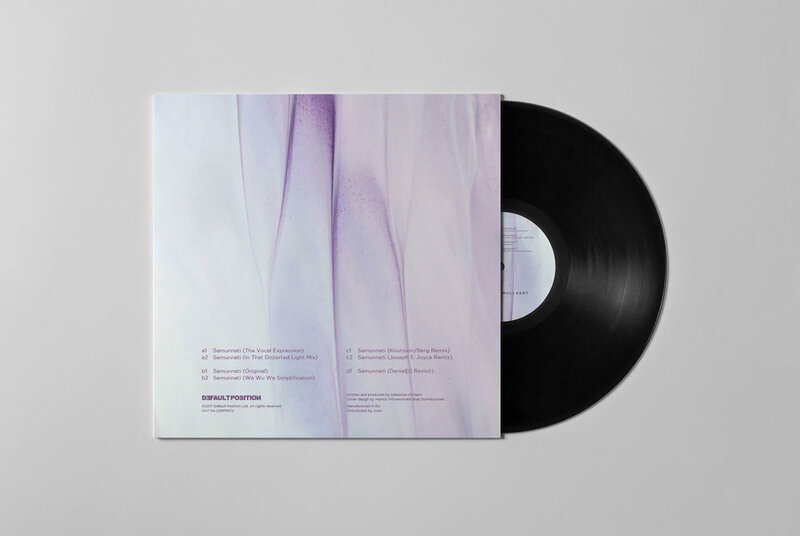 “Samunnati” is a brand new double vinyl EP featuring four original mixes from Mulleart, with remixes from fellow Swedish duo Knutsson/Berg, Belgium’s Daniel[i] and label founder Joseph S. Joyce. Its genesis lies in a melody recorded live on Sebastian’s Roland SH101 which features as the intro to his Dance thru Shadowed Structures Mix. Some time after this mix was published, a young artist named Daniel[i] was so captivated and inspired by the melody he took it upon himself to sample it and create a twelve minute remix without, we might add, Sebastian’s prior consent! Sebastian was however very impressed with the remix and admired Dan’s bold initiative. The pair later decided to approach Default Position with an idea of turning it into a full EP. The project resulted in seven individual mixes, with the melody being processed and re-sampled in many different ways, offering several contrasting styles. Up first on the EP we have Sebastian’s “The Vocal Expression” mix, chosen as the feature track for its incredible funk and high versatility. In this version Sebastian delivers a kind of “call and response” treatment to the melody, using clever filtering and signal processing techniques. Up next we have Sebastian’s “In That Distorted Light Remix” which is an epic main room anthem guaranteed to lift the roof! In this version the melody is more recognizable in its original form, with additional layers from the SH101 and lots of analogue distortion, pushed to the absolute limits! On the flip is the Samunnati (Original) mix, which perhaps lends itself most to Sebastian’s unmistakable signature sound. In this take the melody really blossoms and flowers in into a beautiful composition with layers upon layers of intricate patterns, drowned in luscious delays and spatial effects. Sebastian’s fourth and final mix on the EP is the “Wa Wu We Simplification” which takes us in a totally new direction, with it’s low slung dubby vibes and amazing high frequency textures. On track number five we have the truly refreshing, unique and quirky “Samunnati (Knutsson/Berg Remix)”. When given the challenge of creating a remix from just one melody the duo have risen to the task well, with their clever choices of resampling, drum programming and signal processing. The sixth rendition of Samunnati is by label founder Joseph. S Joyce. In this version the melody is dropped down a semitone and looped with some very subtle modulations, vocal ambiences, percussions and shakers. Finally track seven is handed over to the instigator of the Samunnati adventure. Mr Daniel[i] reveals the famous unsolicited remix which triggered this fantastic body of work.